Action for Autism is a not for profit organization that pioneered the autism movement in South Asia, and strives to access the rights of individuals with autism and their families. AFA is involved in lifespan activities including * early intervention, education, * assessments, * work and employment, * independent living, as well as * awareness, * advocacy and * research. AFA partners with organisations nationally and internationally to make the world a more inclusive place for individuals with Autism Spectrum Disorders (ASD). Through a concerted effort from our various wings: Open Door Clinical Services (Direct services for individuals with autism and their families), AADHAAR (Vocational Centre for adults with autism), Anvay (Research and Trainings), AAHAAN (Publications), AAILAAN (Advocacy), AFA addresses the individual needs of people with autism, their families and the autism community as a whole. Our philosophy permeates into all we do and is highlighted in our work, choice of logo, and our mission. Our Mission & Goals: Despite autism often being viewed as a terrible and tragic condition, AFA’s philosophy has been one of acceptance and inclusion. We view autism as a different way of being, often difficult and challenging, but nonetheless, as valid as the non-autistic. AFA respects this difference and we approach all our activities with this paradigm of understanding and acceptance. Our mission is to facilitate an inclusive and barrier free environment that enables the empowerment of persons with autism and their families; and to act as a catalyst for change that enables persons with autism to live as fully participating members of the community. Our Logo: Autism organizations around the world have adopted the logo of the puzzle piece to symbolise how autism ‘appears’ to be a confusing, puzzling condition to those who do not understand it; as though just one piece of the whole puzzle is missing. We too decided to use the puzzle piece…but our interpretation of it is quite different. As an organization we do not view having a child with autism to be a tragic or unfortunate situation for either the parents or the child. It IS a difficult, sometimes puzzling situation to live with. But it is like many difficult situations in life, and for families in India, this difficulty is magnified by the poverty of services available and general lack of awareness. Despite the challenges, we subscribe to a more positive perspective, and therefore, the little boy in our puzzle piece is not someone who is looking downwards or weeping, but is someone who is smiling and connecting with those around him. In our logo, we show this little boy partially emerging from the puzzle to represent that all people with autism can grow in their learning and development when the environment makes accommodations to support their learning. With a membership of over 3,000 parents within India alone, AFA has emerged as the pioneering national organization for ASD in India and South Asia. Ours services are orchestrated from the National Centre for Autism, dedicated by Mrs Sonia Gandhi. Anthropologists and sociologists have written about the organization, and AFA is internationally acknowledged as a centre of excellence. For their contribution to the field of autism spectrum disorders, AFA and our founder and director, Ms Merry Barua, have been recognized nationally and internationally through a number of Awards and Citations. Naturally Autistic People Award, Canada, 2011 for Community Leadership 'Demonstrating leadership in delivery of support services and inclusion of Autistic people in the local community and society at large'. This is an organisation of persons with ASD. To have our philosophy and our work valued by persons with ASD makes the award particularly valued. Asia Pacific Autism Award 2011, Perth, Australia to Merry Barua, Director AFA, in recognition for 'Outstanding Service to the field of Autism'. 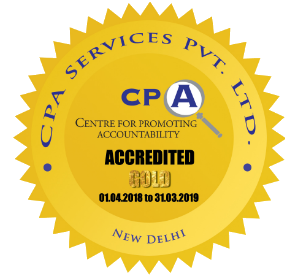 In the same year, AFA also started the publication of Autism Network a widely circulated and hugely appreciated periodical which is a reference point for professionals and parents across India and outside. In the past decade, the Autism Network has been distributed to about 45,000 parents and professionals. In addition, free downloads of the archives are available from the website. In 1997, AFA’s website www.autism-india.org, the first autism specific website in Asia was launched and it remains an important reference point for the autism community. The website receives about 90,000 visitors annually. From 1998, AFA lobbied with the Rehabilitation Council of India (RCI) highlighting the need for a training programme for ASD. Continued efforts culminated in the Diploma in Special Education (Autism Spectrum Disorders) in 2003. In 1998 AFA produced the first awareness film on autism in India. The model vocational training programme – the first for adults with autism, was launched in 1999. In 2001, AFA pioneered a unique Parent Child Training Programme as a module of parent empowerment. Since then more than 450 parents have trained from at least 20 states in India, including the northeast (Assam, Nagaland), south (Tamil Nadu, Kerala), west (Gujarat, Rajasthan) and north (Jammu & Kashmir, Himachal Pradesh). In addition, AFA has facilitated replication in Nepal, Pakistan and at least 10 locations within India. In 2001, the observation of Autism Week each December across the India was initiated. In 2005, the National Centre for Autism was established. The foundation stone was laid by Mrs Sheila Dixit in 2004, and it was inaugurated by the Mrs Sonia Gandhi in 2007. From 2006-2008, an awareness campaign targeting 15,000 pediatricians across the country in raising awareness about diagnostic criteria for autism leading was carried out, to aid early diagnosis. In yet another pioneering move, AFA facilitated Persons with Autism to speak as self-advocates, a difficult proposition for any mental disability in India. For the first time individuals with autism advocated for their self-identify and their hopes and aspirations during World Autism Awareness Day 2009. In 2010, AFA received 10 acres of land in Gurgaon from Government of Haryana. The foundation stone was laid by Mrs Sonia Gandhi in 2013 to start construction of ANANDA , a model home for adults with autism and multiple disabilities, first of its kind in India. In 2016 AFA completed the first phase of construction of our project Ananda for Assisted Living for individuals with Autism and Developmental Conditions. •	Pilot stays for the Group Home Project for Persons with Autism. •	Computer Education Classes for Children from the surrounding villages. Services at AFA have been accessed by over 16,000 families in the past decade. In the last ten years, the AFA team members have conducted over 250 training workshops across the country as well as neighbouring countries like Bangladesh, Pakistan, Nepal, Maldives, UK, Singapore, China, and Kenya training over 15000 parents and professionals. Recognition for the pioneering work done by AFA and AFAians!